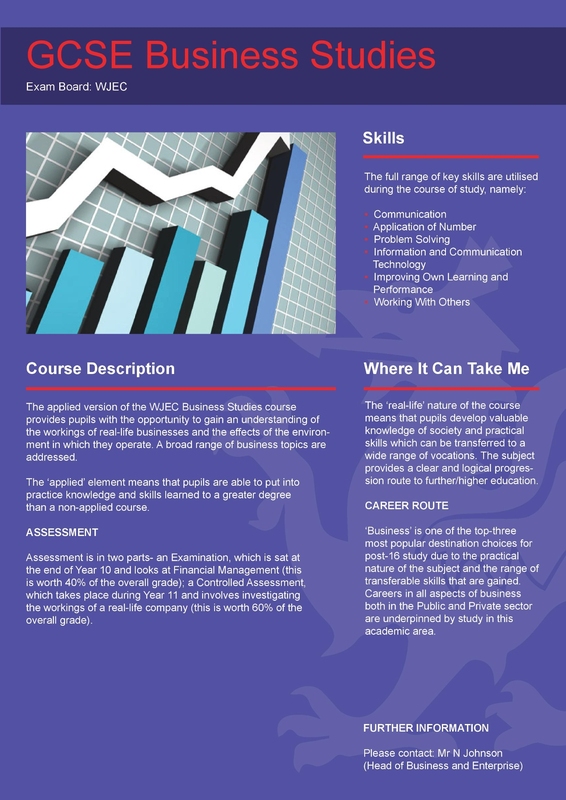 Business Studies is introduced into the curriculum at Key Stage 4. Students are given the opportunity to learn about the world of business which is relevant, due to the impact it has on their everyday lives both now and in the future. It is taught in mixed ability groups at both key stages.